WardsAuto reviewed 37 engines and propulsion systems from 12 manufacturers in this year’s competition, which looked at power, fuel efficiency, new technology and refinement and compared the attributes with data for similar engines. 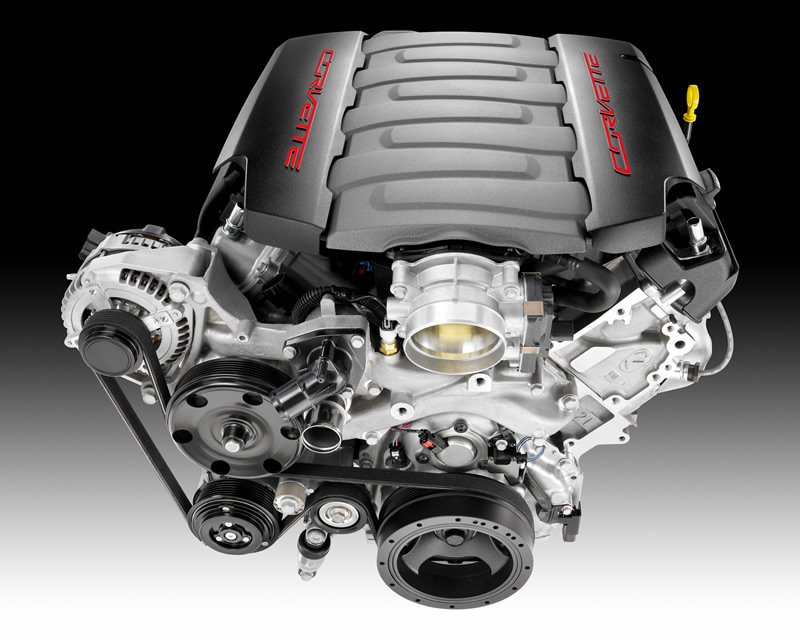 The LT1 Small Block technologies contribute to making the new Corvette the quickest, most powerful and most fuel-efficient standard Corvette ever. The engine delivers an SAE-certified 460 horsepower, helping propel the car from 0-60 in 3.8 seconds and a quarter mile in 12 seconds while offering EPA-estimated 29 mpg highway with an 8-speed automatic or 7-speed manual transmission. The LT1, part of the Gen 5 family of Small Block engines, combines several advanced technologies – direct injection, Active Fuel Management, or cylinder deactivation, and continuously variable valve timing – to support an advanced combustion system. Direct injection is a primary contributor to greater combustion efficiency by ensuring a more complete burn of the fuel in the air-fuel mixture. This is achieved by precisely controlling the mixture motion and fuel injection spray pattern. Direct injection also keeps the combustion chamber cooler, which allows for a higher compression ratio. Increased power and efficiency result from more than 10 million hours of computational analysis including computational fluid dynamics, to make the most of the combustion system, the direct injection fuel system, active fuel management and variable valve timing systems that support it. The combustion system itself benefited from 6 million hours of dedicated CPU analysis time. Other variants of the Gen 5 Small Block include the 4.3L V6, 5.3L and 6.2L V8 truck engines offered in the Chevrolet Silverado, Suburban, Tahoe, the GMC Sierra pickups, Yukon XL and Cadillac Escalade SUVs. The LT1 is manufactured in Tonawanda, N.Y.